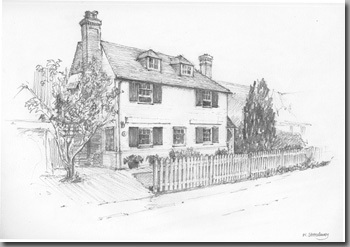 Home is where the heart is, be that a small cottage, flat or house, or a mansion with extensive grounds, your own home is very special to you and Bill can create for you a full colour painting, a fine line pencil drawing or a pencil on colour wash painting that will highlight your current home, the family home, or even a home you used to own. 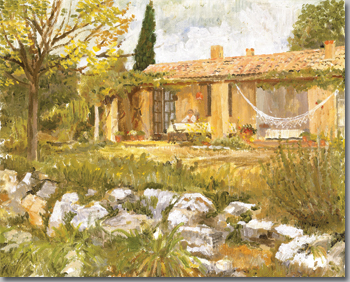 These paintings make wonderful gifts for family, friends and colleagues. 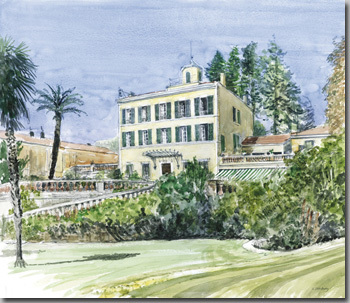 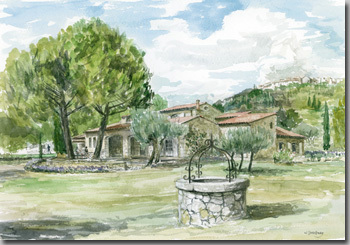 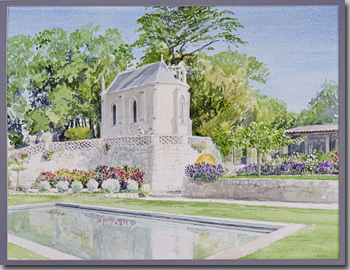 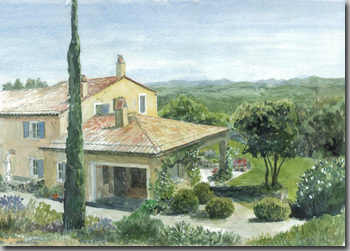 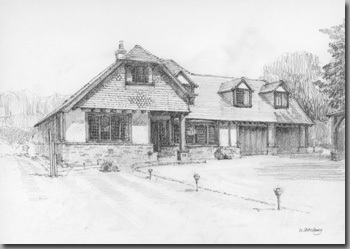 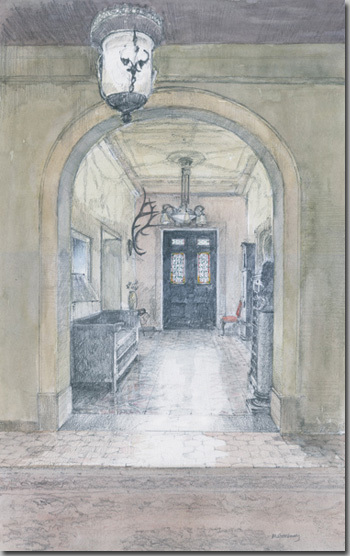 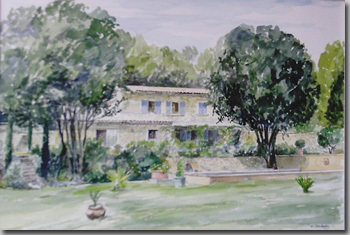 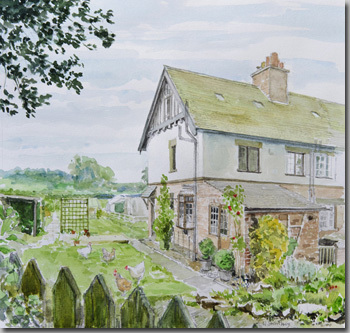 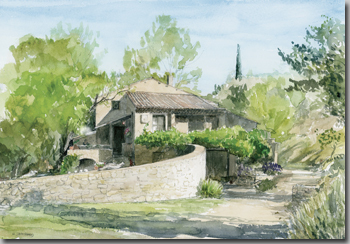 Your home may reproduce best as a watercolour, oil or pencil drawing dependant upon the ambiance and background. 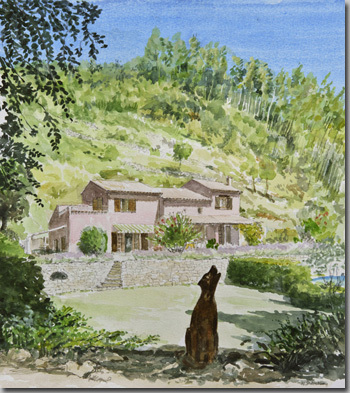 This decision will be made with Bill when he first visits and you view the property together. 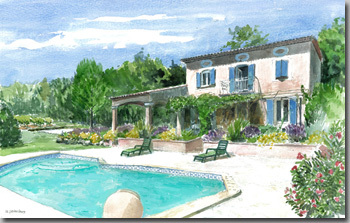 No work will commence until you are happy with the view chosen, the medium to be used and the price quoted. 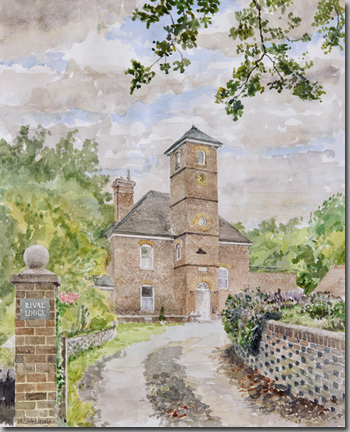 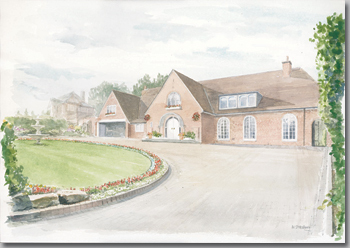 Watercolour, Commissioned by the owner. 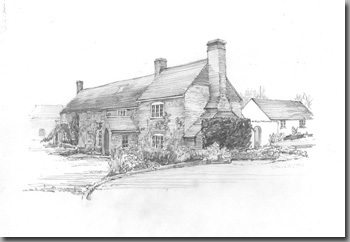 Pencil, Commissioned by the owner.